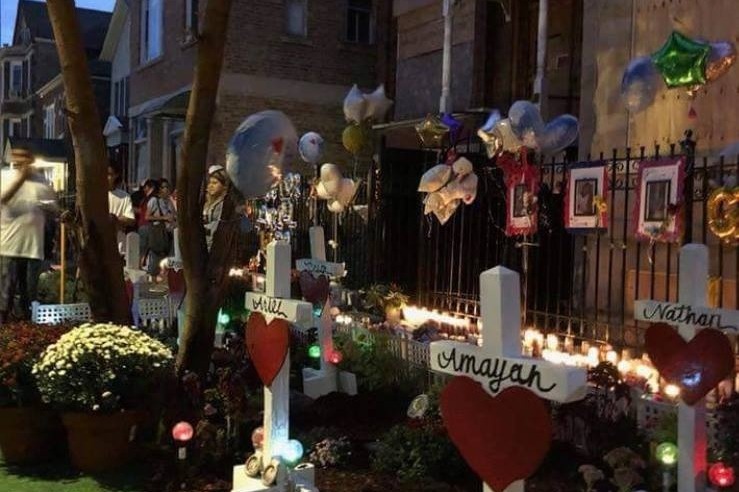 Little Village is mourning the death of 10 children from a tragic fire on Sunday. We are asking for donations to help the families cover all burial costs. Amor de Dios on 2356 S Sawyer Ave, Chicago, IL 60623. Enlace is collecting donations with the permission of families. Thank you for your support, with these funds we were able to cover the costs of funerals and other incidentals for the families impacted by this fire. There are four more children that will have services over the next week. We will announce services that are open to the public in accordance with the wishes of the families. Con mucho pesar, anunciamos que el servicio memorial de Nathan Contreras, Cesar Contreras, Xavier Contreras, Ariel García, Amayah Almaraz y Adrian Hernández están programados para este Sábado, Septiembre 1, desde las 10:00 am a 12:00 pm en la iglesia de Nuestra Señora de Tepeyac (2226 S. Whipple St). Hay otros cuatro niños cuyos servicios se realizarán en el curso de la siguiente semana. Anunciaremos los servicios que estarán abiertos al público de acuerdo a los deseos de la familia.